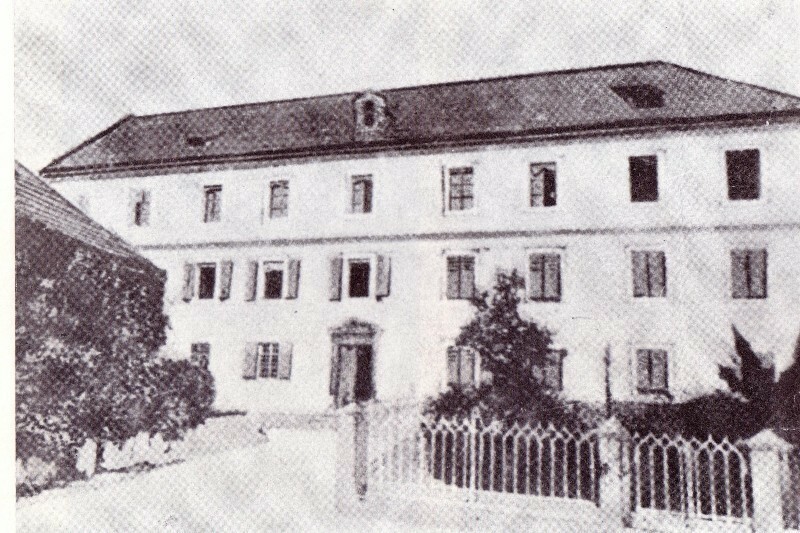 The Novo mesto Grammar School is undoubtedly one of the oldest educational institutions in Slovenia that has been in operation continually since its foundation. 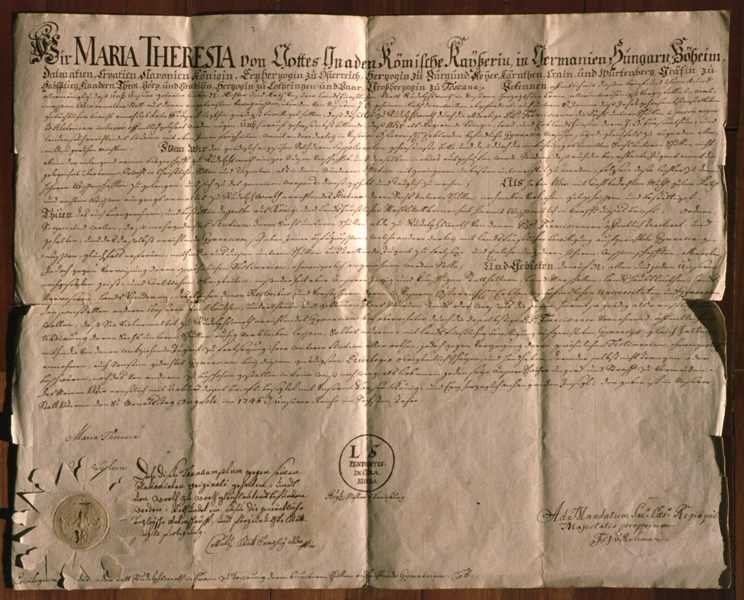 It was founded by the Empress Marija Terezija in the far-off year 1746.The school was first run by the Franciscans. 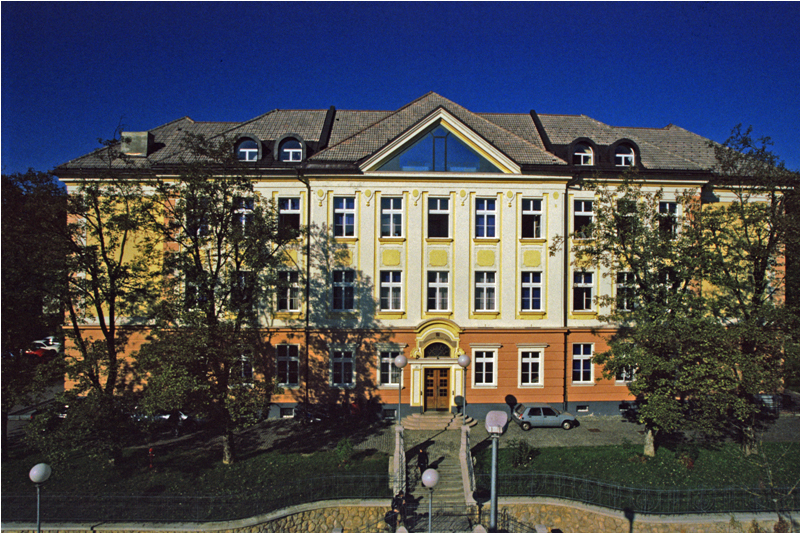 In the course of its long history the Novo mesto Grammar School has experienced and survived some bad days: wars, different political systems, numerous school reforms and programme changes. 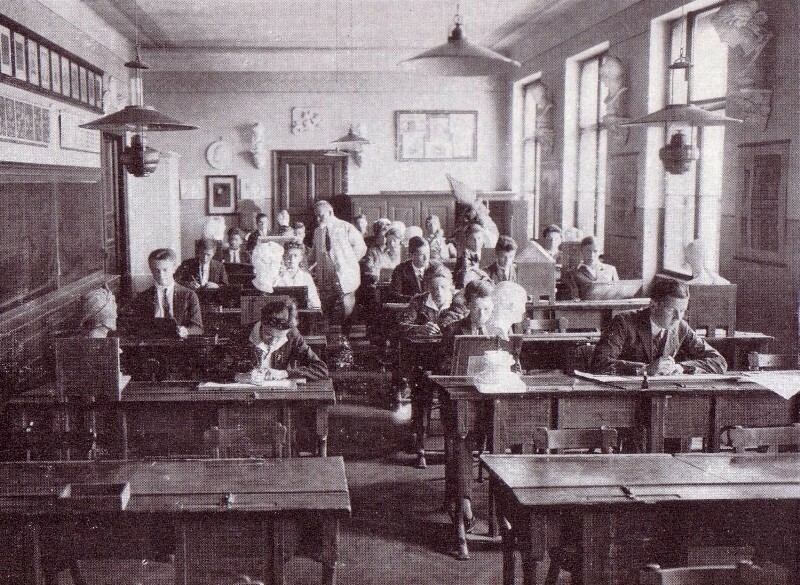 The present school building at Seidlova Street was built in 1912. In 1854 it was changed from a six-year school into an eight-year school and in 1958 the eight-year school split up into the basic level four-year school and the upper level four-year school. Due to a new school reform in the 80’s of the past century the school became a Natural Science and Technical School but it was soon evident that only a grammar school can provide broad knowledge and build up skills that are essential for successful studies at University. 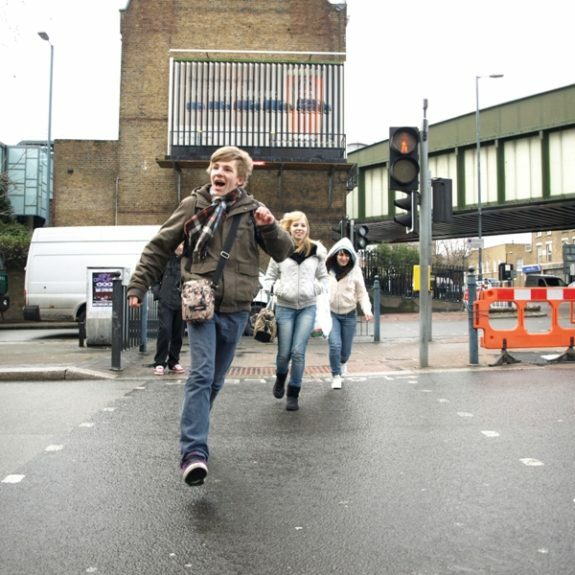 As a result there was a new school reform in 1990 and the school became a grammar school again. Renovation work on the school building began with the celebration of its 250th anniversary. We moved to the renovated old building in 1998. 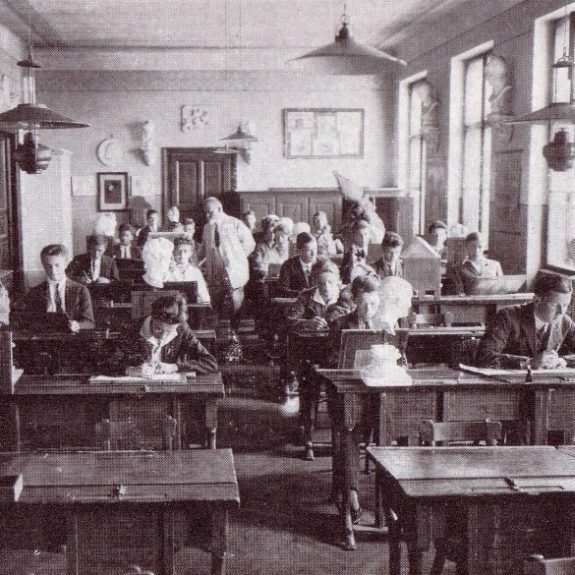 Better working conditions in the renovated school and morning classes meant an additional challenge for even better and more laborious work: a wide range of extra curricuar activities is carried out throughout the school year. 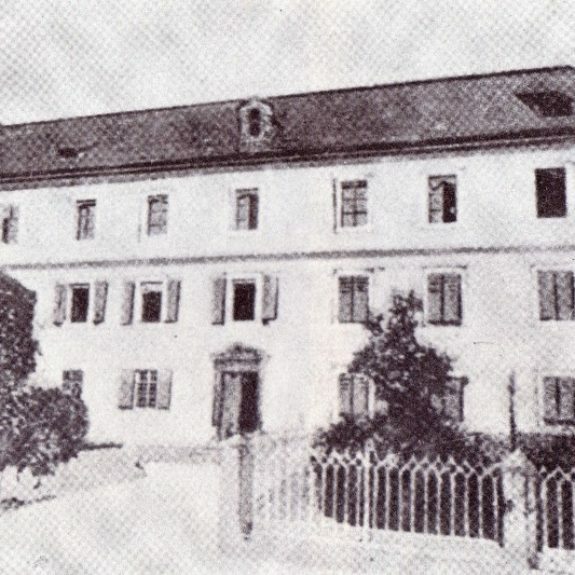 On the 100th anniversary of the schoolbuilding a permanent exhibition on the history of the Novo mesto Grammar School was opened in the year 2012. Besides the grammar and classical school programme we also have sports classes (sc) and European class. 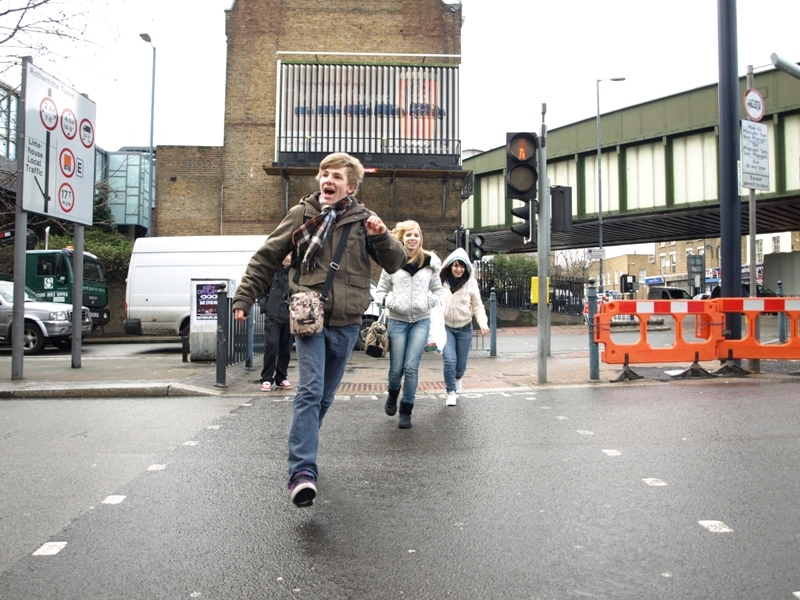 In the recent years the school has had approx. 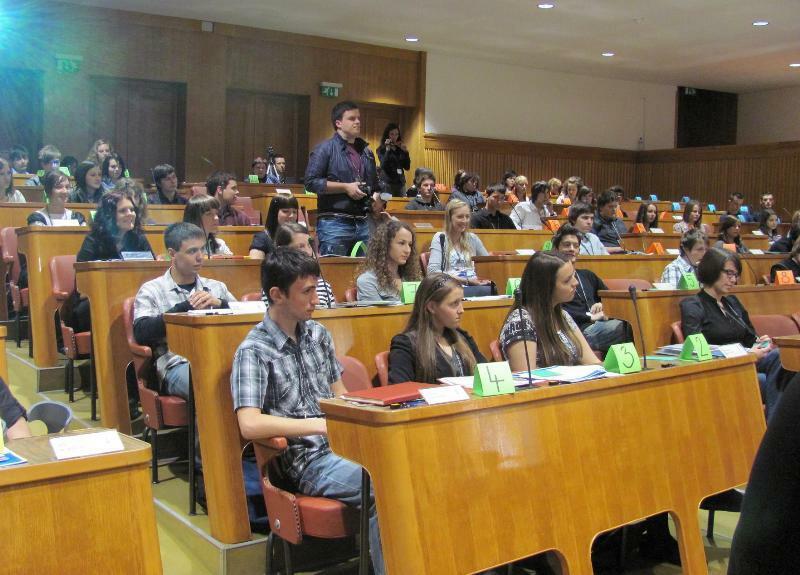 800 students taught by about 60 teachers. Optional subjects are chosen by the second, third and fourth year students according to their interests and abilities. These aditional hours are added to those of compulsory subjects or are regarded as preparation for matura exam in the case of fourth year students. In addition to this extra curricular activities are offered to students as a part of the curriculum and they differ from regular subjects in the way they are carried out. These activities make it possible for the students to fulfill their individual talents and aspirations. education for non- violence, peace and the family. Since 2007 we have been organizing numerous activities with excursions and workshops during the project week where our students have the possibility of acquiring knowledge and abilities which match their interests. are: the headmistress who is the executive authority and pedagogic leader; the assistant headmistress; the parents council; the teaching staff represented by all the teachers employed; the class teaching staff; the class teacher; the teaching department for each subject represented by teachers who teach it and the students community organized in each class and headed by the students parliament. We have been trying to improve the quality of the lessons by introducing intersubject cooperation with team-teaching. 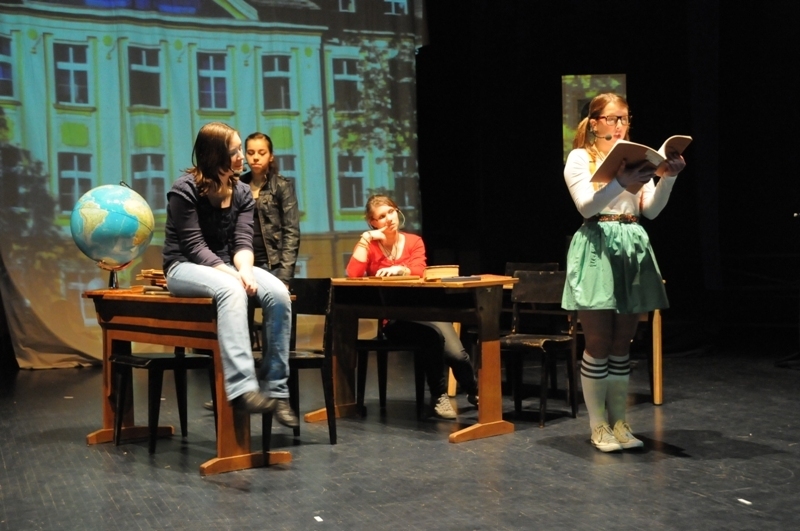 Novo mesto Grammar School Students Community is very active. Class representatives attend meetings called by the school president where all important issues are discussed. They also organise various performances, concerts and competitions and appoint students responsible for individual fields of work (sports, concerts). 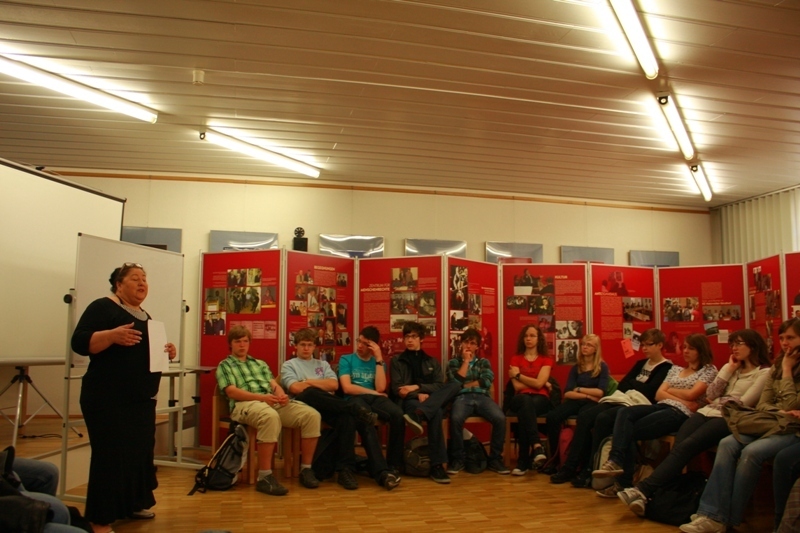 Our Students Community cooperates with the students of other secondary schools in Novo mesto. 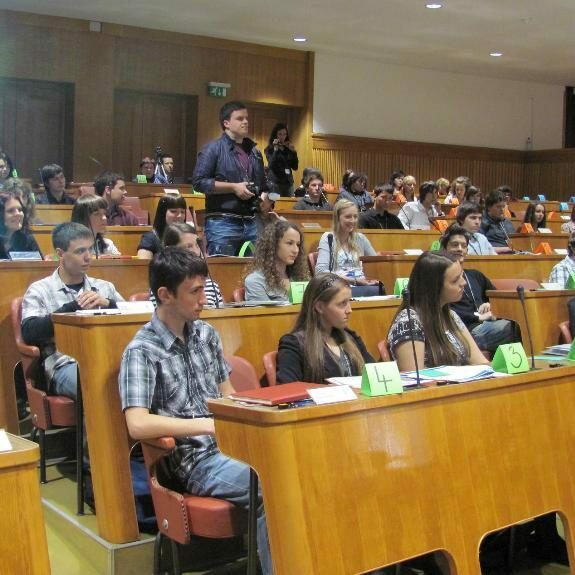 At national level we cooperate with the Students’ Organisation of Slovenia, which includes the representatives of all high schools in Slovenia. The users have access to the school library database (it contains computer processed material of the library),the COBISS/OPAC system and the free EBSCO database host to EIFL Direct consortium. The library keeps more than 20,000 items of material (books, CDs, DVDs, video and audio cassettes), a part of which can be found in every teachers’ room. 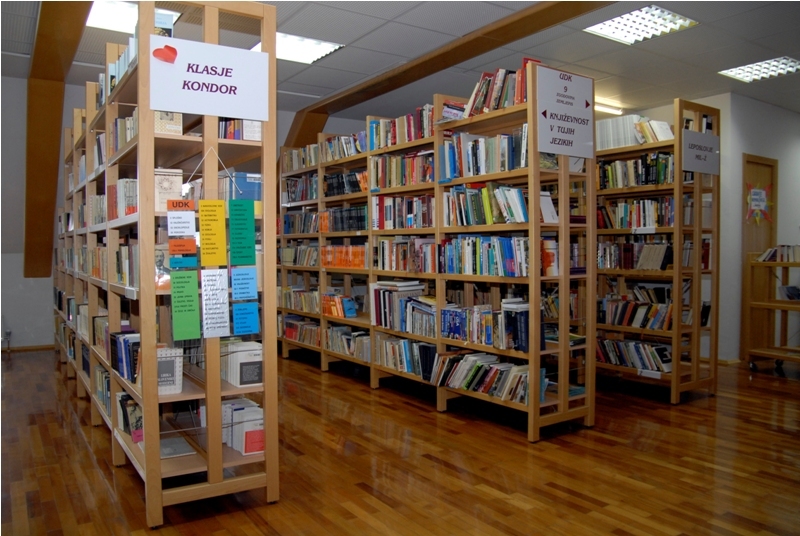 The library is also a place for exhibitions, literary meetings etc. The students of our school can do research there, write assignments, read, study in peace and quiet, and enjoy the relaxed atmosphere. 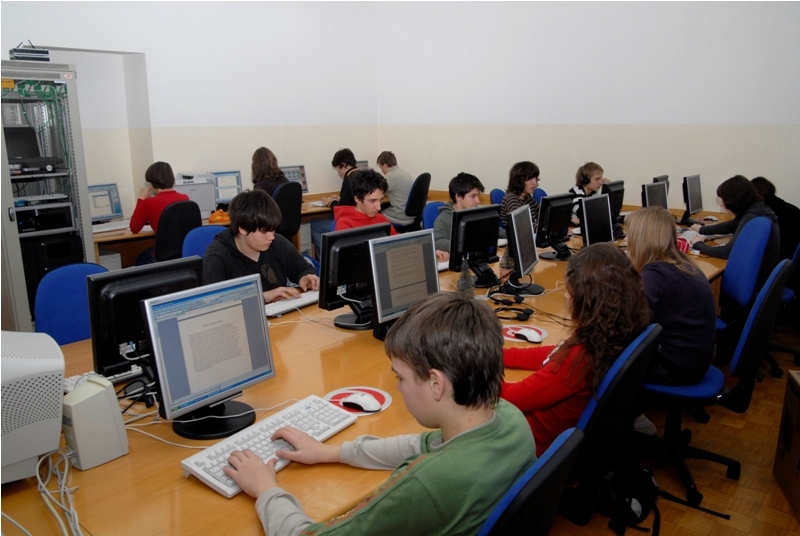 Practical lessons are given to small groups of students in specially equipped class-rooms in which each student has his own computer. 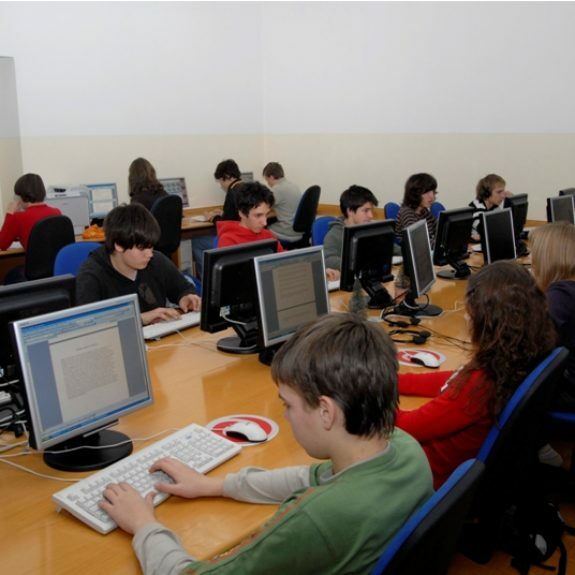 All computers are connected to the Internet which students can also use in their free periods at the school library, media library and atrium. Each classroom is equipped with a computer and internet linkage, LCD-projector and other technical appliences (TV, DVD-player etc.). Multimedia room is equiped with computers and available to other teachers lessons. 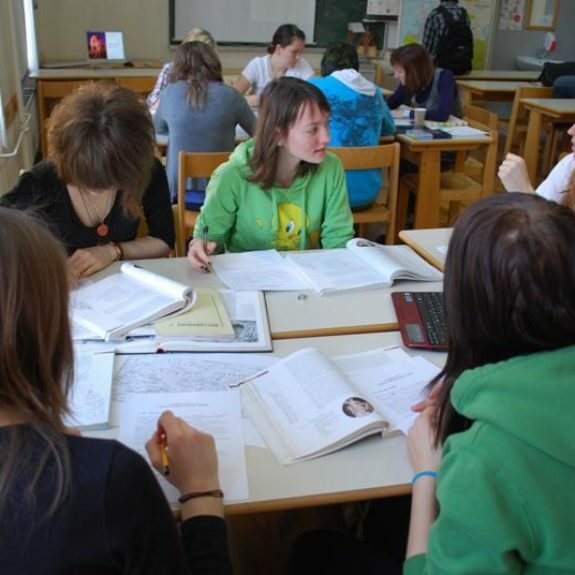 A few months prior to Matura thousands of grammar school students all over the world are taking a special test in German, called the German language diploma. Our school has been offering this exam since year 2000. 10 to 20 grammar students pass exam on level B2 or C1 every year. 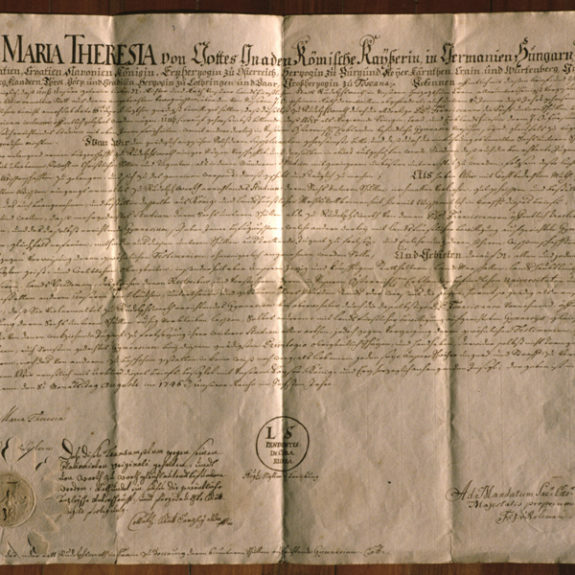 “Sprachdiplom” is a formal certificate, proving that we are fluent in German at an advanced level both orally as well as written. Our German is sufficiently fluent to allow us to study at any university or high school in Germany. The program teacher has two extra hours available for the students who are interested in German language diploma. 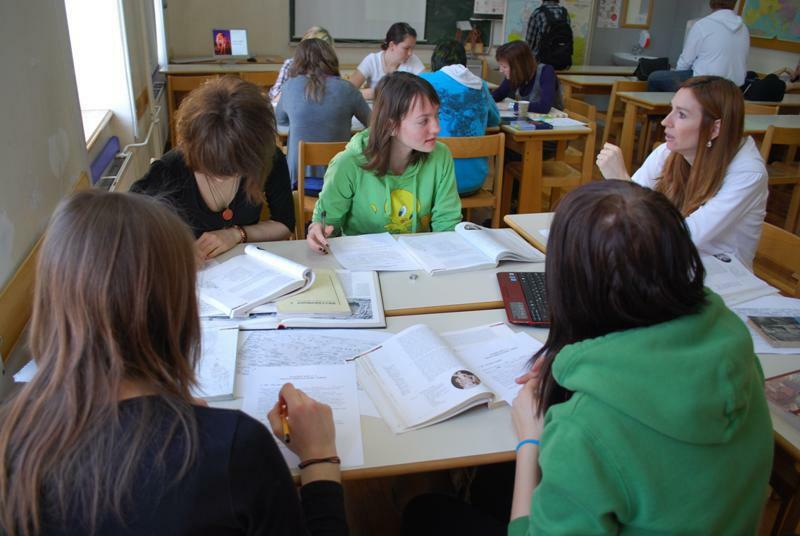 The four-year candidates have intensive preparations for the exam at a language camp which lasts five days. 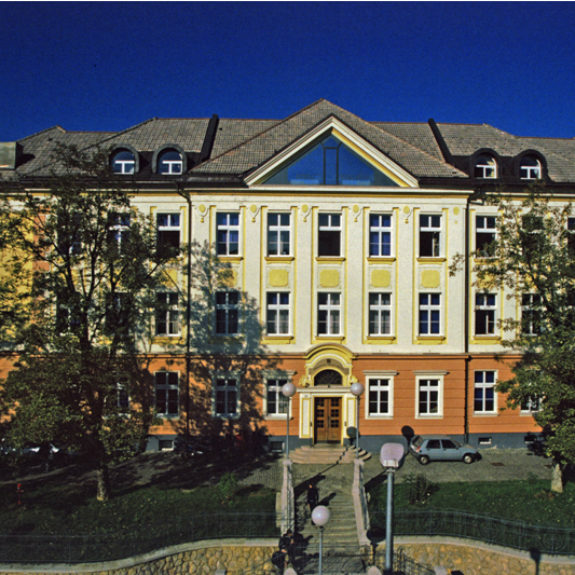 In 1997 the Novo mesto Grammar School joined the family of UNESCO schools. Our students have been involved in many projects, not only at the school level but also at the state and international level. 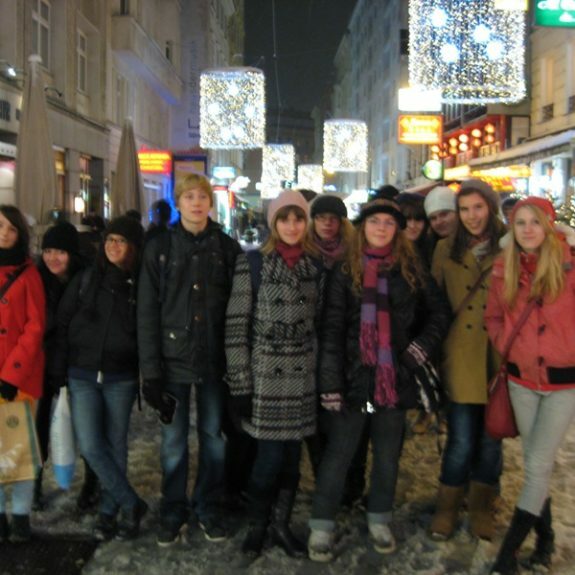 Between 2002-2005 we cooperated with schools from Denmark, Italy, Poland and Czech Republic in the framework of Comenius project- Democracy in secondary schools. 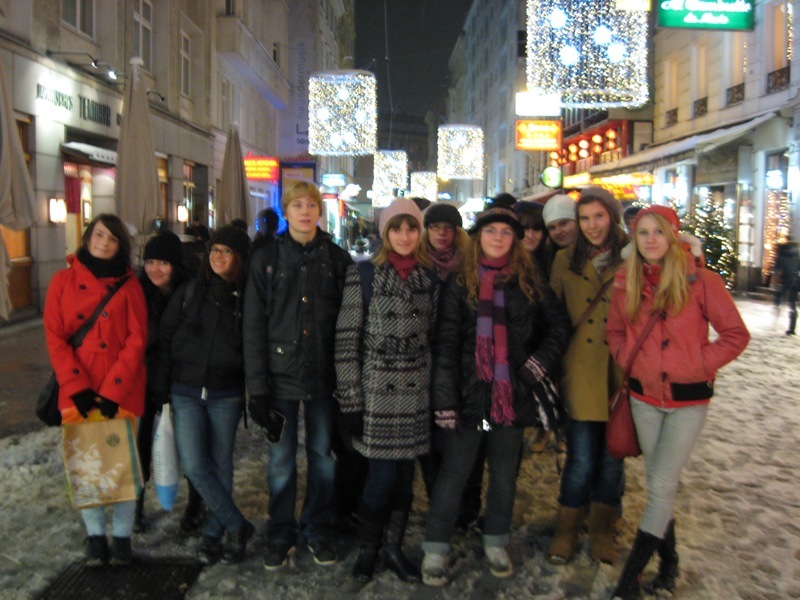 The project Environment builds up bridges-the young in European dialogue involved 34 schools from Germany and 34 schools from Slovenia, Poland, Czech Republic and Slovakia. The project was headed by and supported by the German federal institution for the environment and the IZOP Institute.The project started in 2005 and ended in 2008. Our partner school was Gymnasium am Kaiserdom from Speyer. Both project groups exchanged visits to each other once a year for a week and worked on the environmental theme which they reported about in the Delo newspaper and Die Rheinpfalz. We have been cooperating with the grammar school Jean-Michel from Lons le Saunier since 2007/08. The themes we have been working on are: French literature, newspapers and getting to know each other. 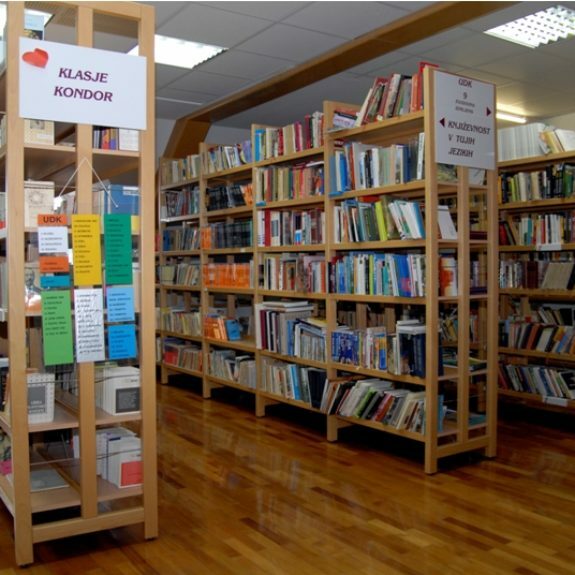 We have been cooperating with gymnasium I. športna gimnazija Koledž Beograd since 2007/08. The themes of exchange are: history and culture of Slovenia and Srbia. Project Comenius with partner schools from Belgium, Italy, Hungary, Germany, Portugal and United Kingdom has been working informal on climate change since 2008/09. Our school has been cooperating with partner schools at this project. 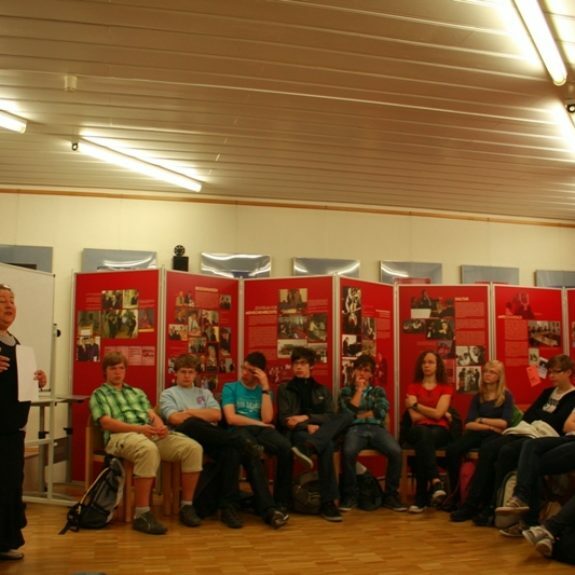 We have been cooperating with Hartmanni Gymnasium Eppingen in project Comenius “Otherness and foreignness in Europe – bridge towards the Romanies” since 2010. 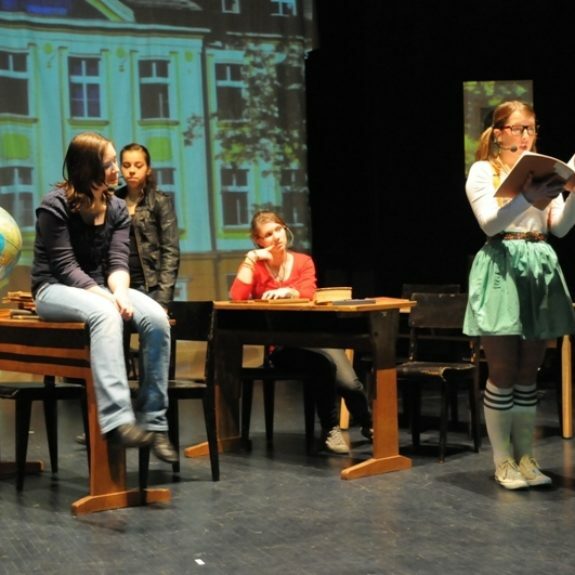 The themes are: workshops for Romani children and youth and tragical destiny of Romanies during Nazism. The photos below represent some memorable events that bear witness of the curricular and extra curricular activities; for more photos see the photo-gallery.